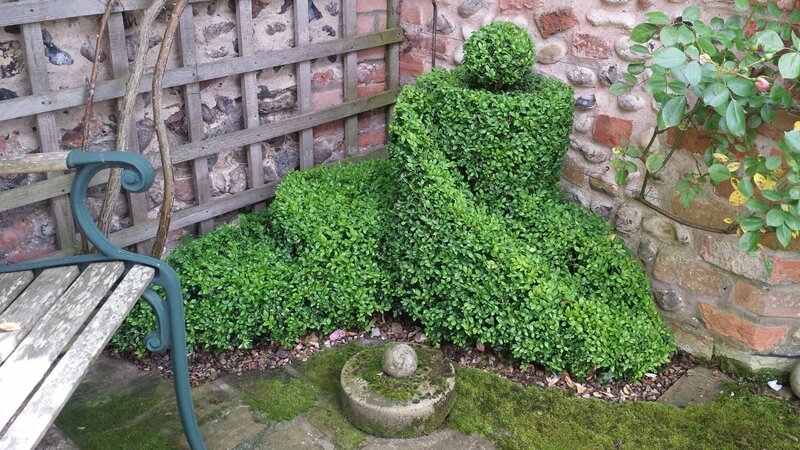 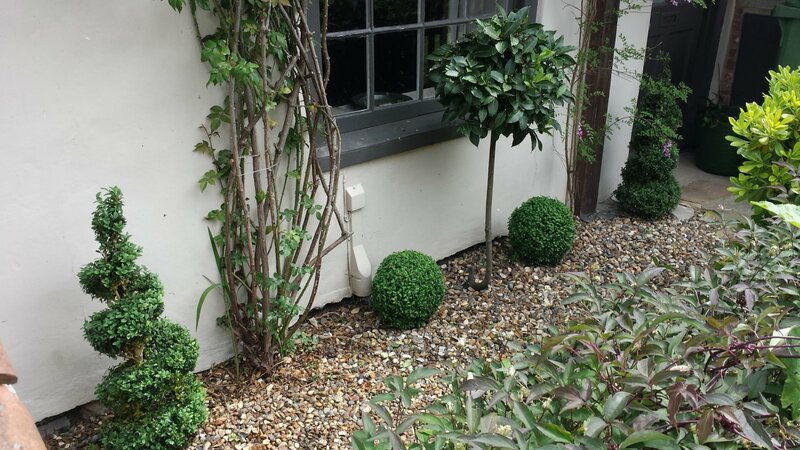 As the website manager for EBTS UK I normally add stories and information about other people and their dealings with boxwood & topiary. 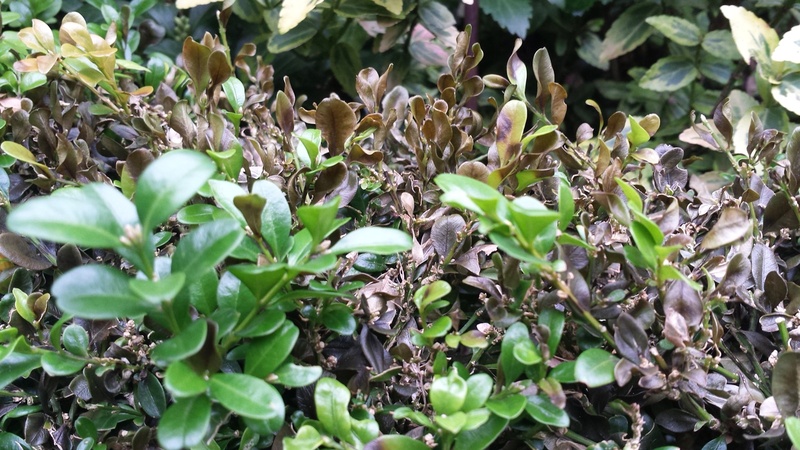 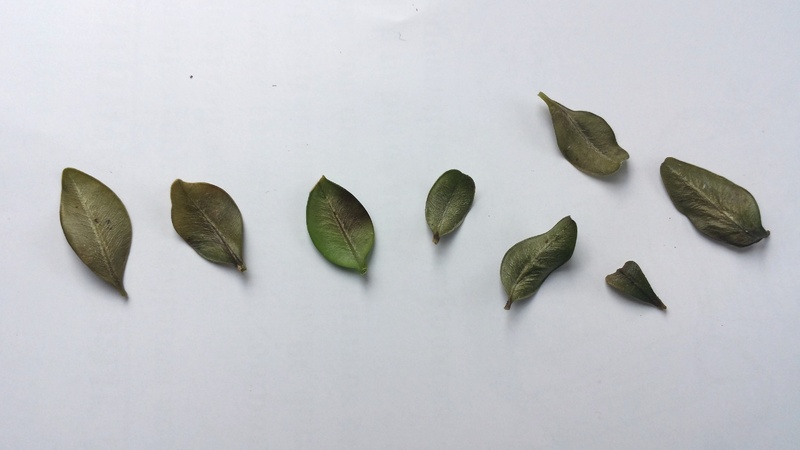 So for a change here is something that has happened in my gardening life that I’ve had to deal with – blight – and what happened. 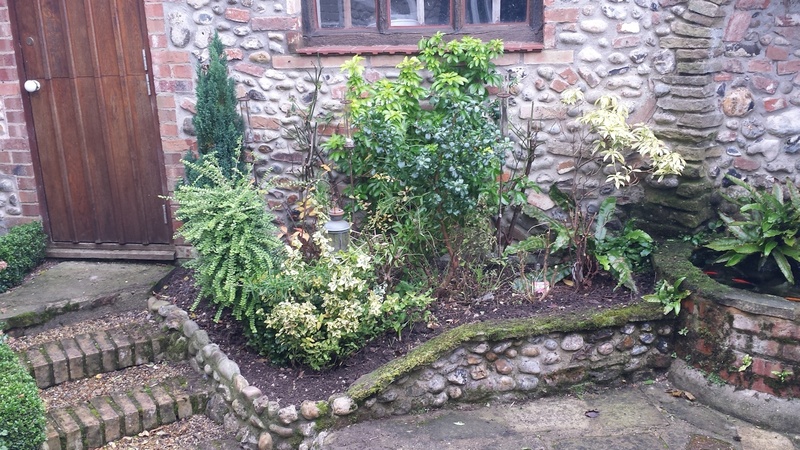 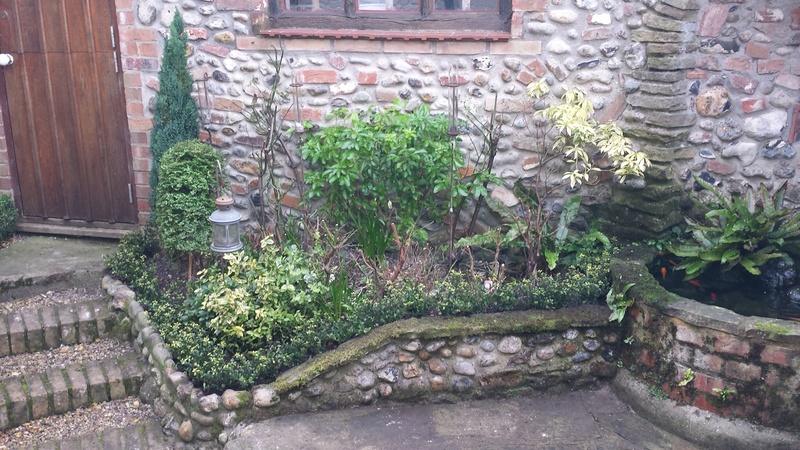 In our cottage in Norfolk we have had little rounded box hedges at the edges of the of the flower beds. 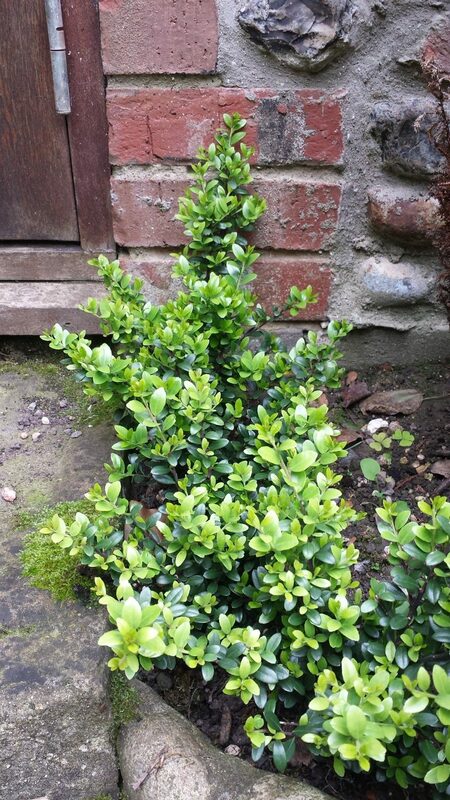 These have grown well over the 4 or 5 years they have been in and shown no signs of disease or stress. 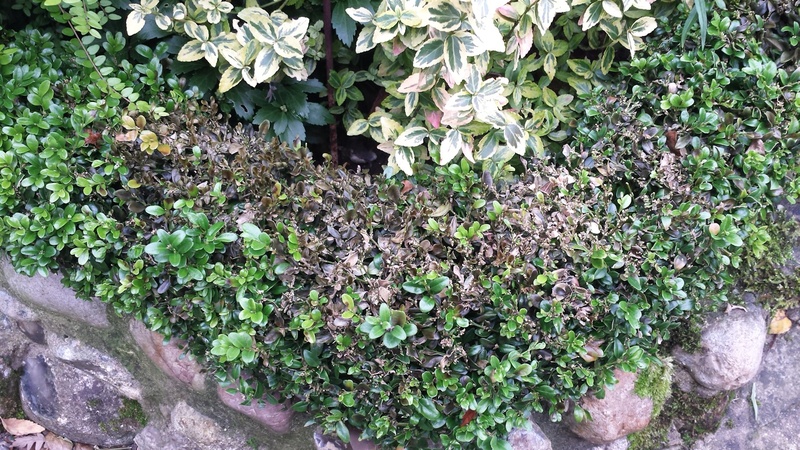 Then suddenly last year blight appeared. 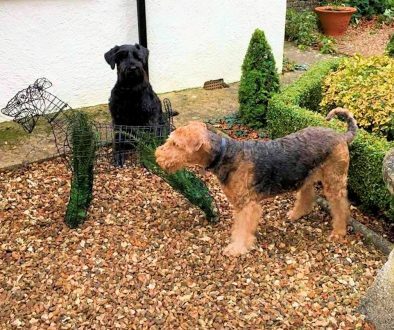 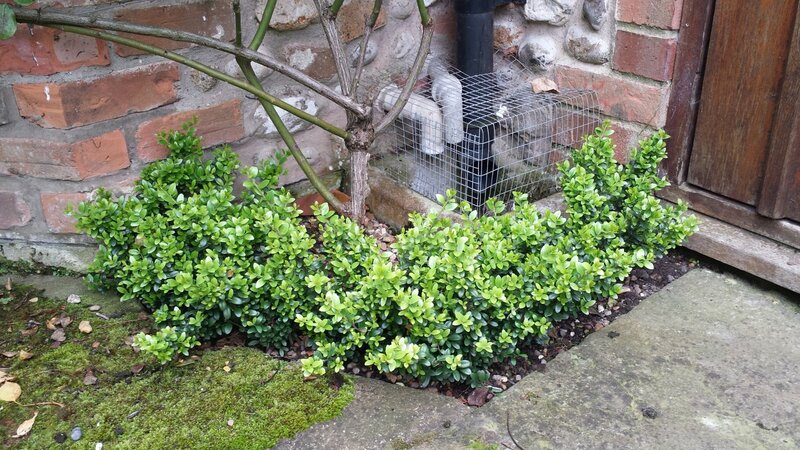 Below you will see how we tried to treat the infection and when that didn’t work what we did to replace the box hedge – the replacement doesn’t look as good yet, but given box isn’t an option for the moment it’s better than no hedge. 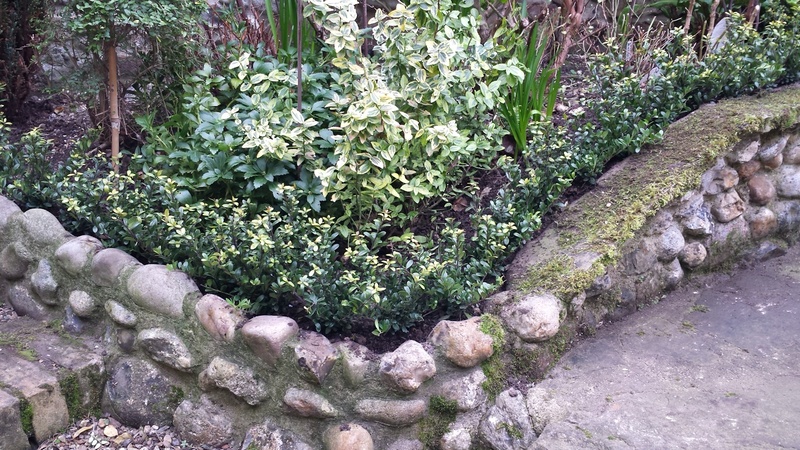 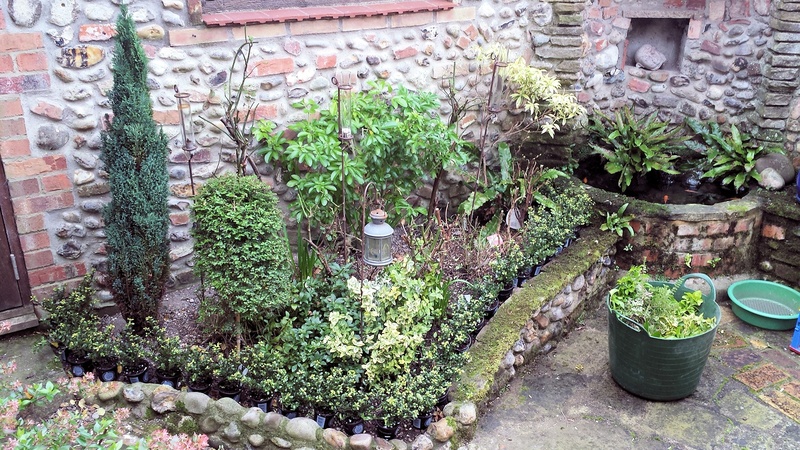 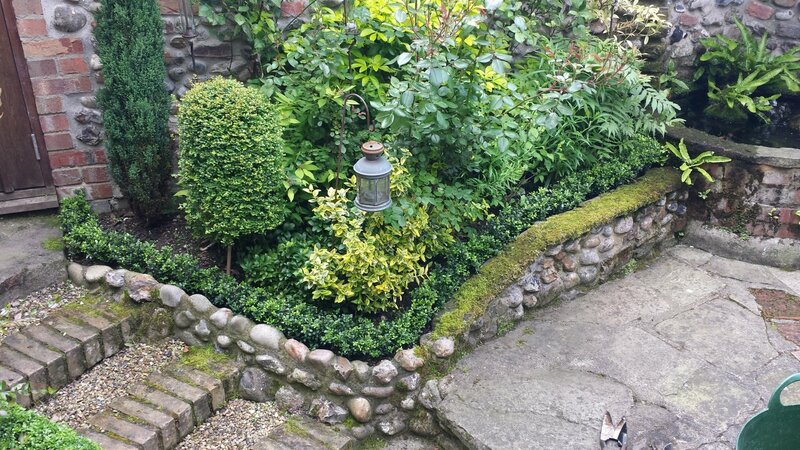 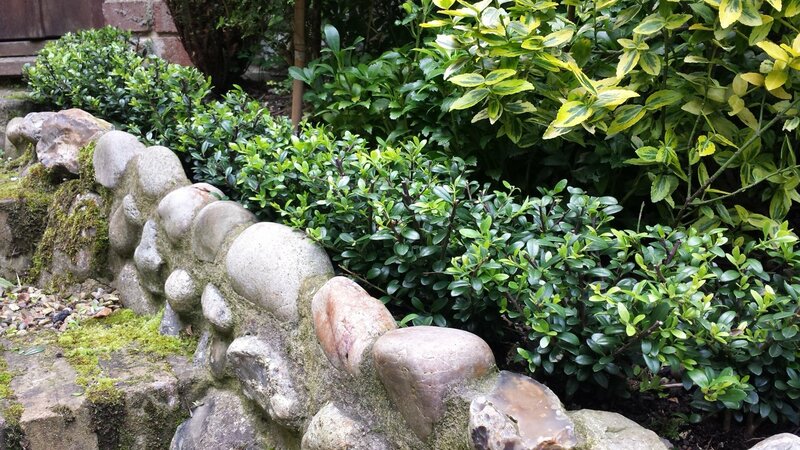 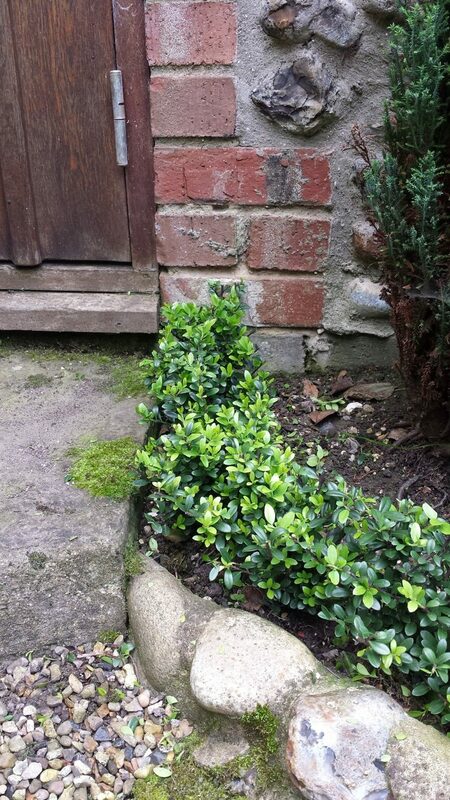 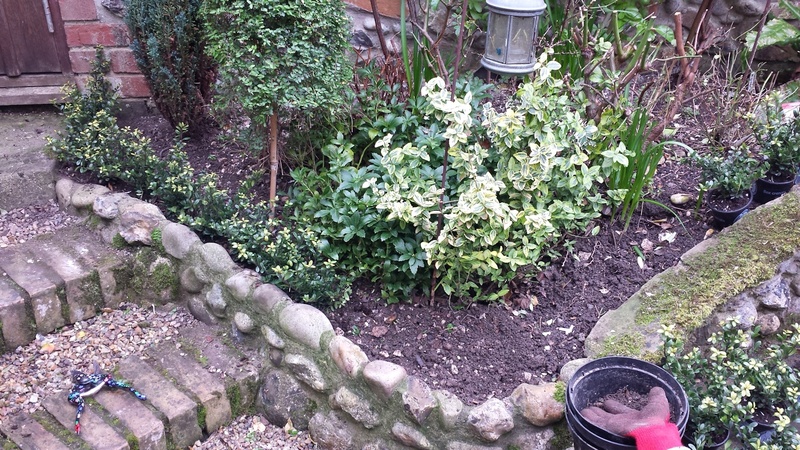 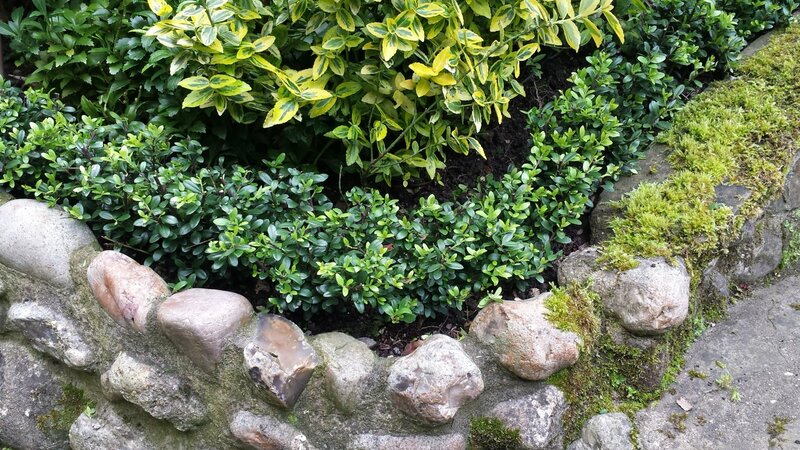 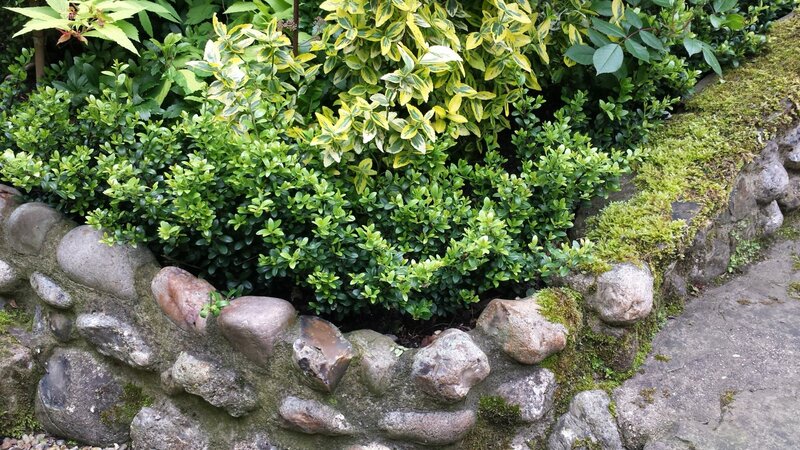 Having removed the low rounded box hedge it was time to put in it’s replacement – Ilex Crenata. 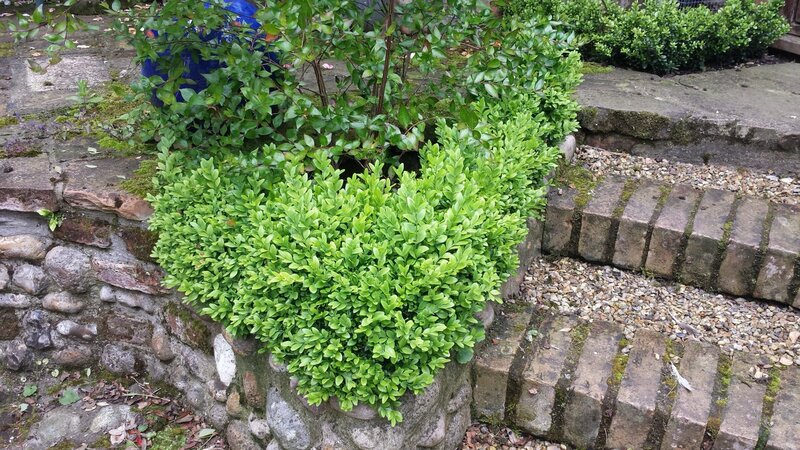 This is supposed to be about the best plant you can get if you want to create as near a box hedge look without using box. 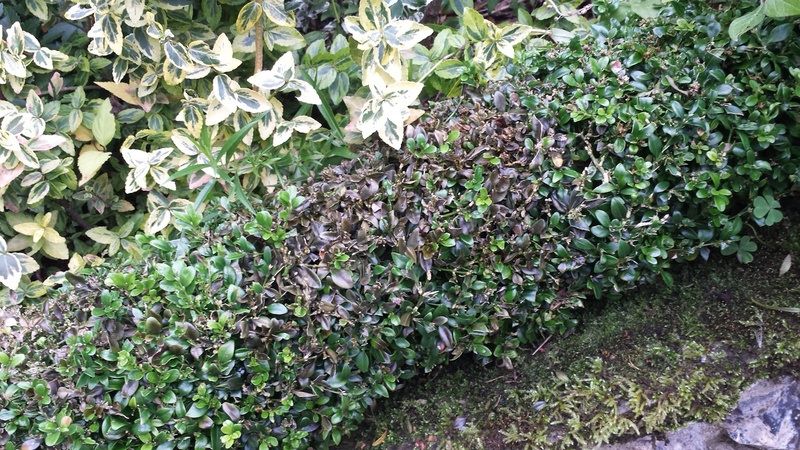 Fingers crossed that in a few years it will have bushed out and with some careful clipping it will look as good as the box. 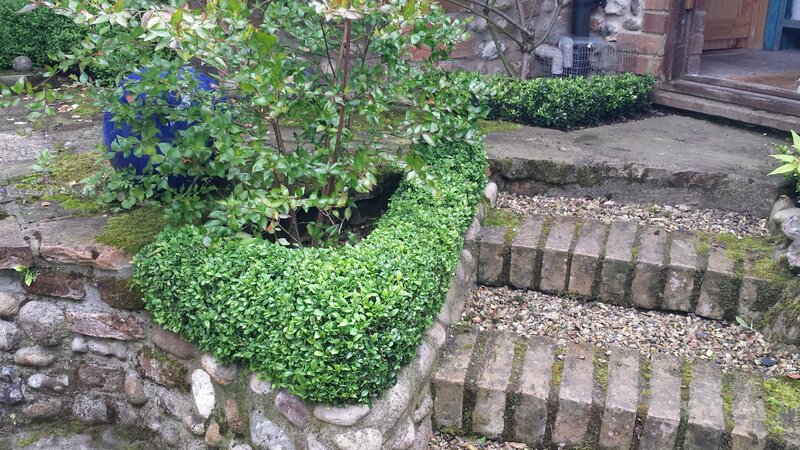 It will be interesting to see if we can clip the new bushes to form a similar shape and effect in the bed or whether a new style is required. 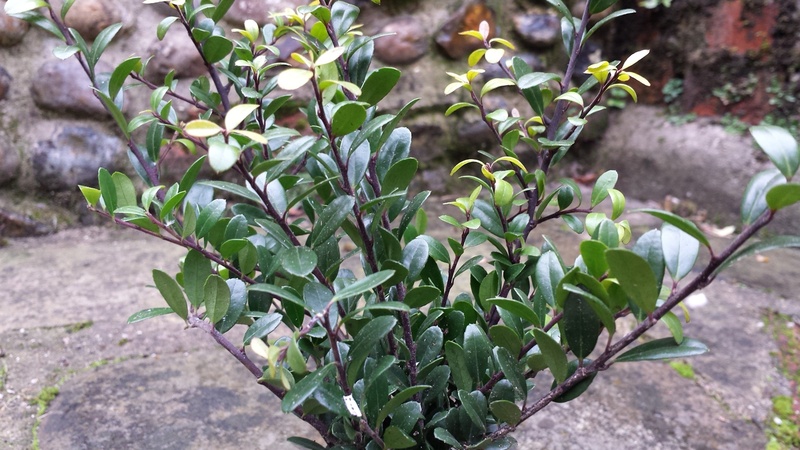 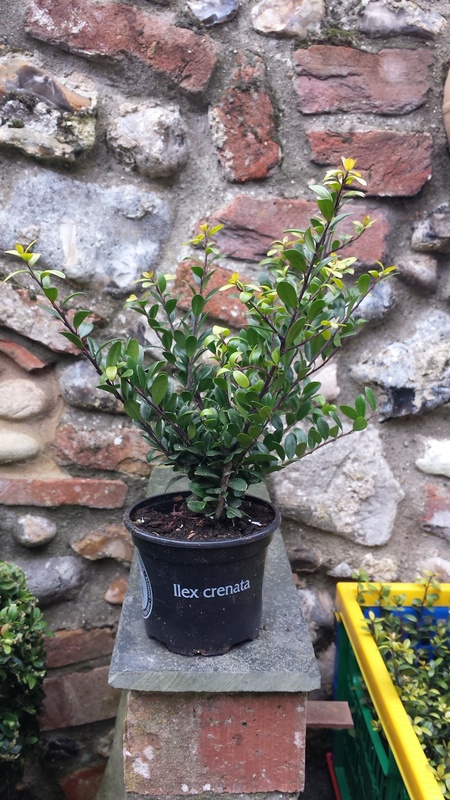 Once the Ilex Crenata has grown I’ll post some updated pictures to show how it’s doing and how it compares to box. 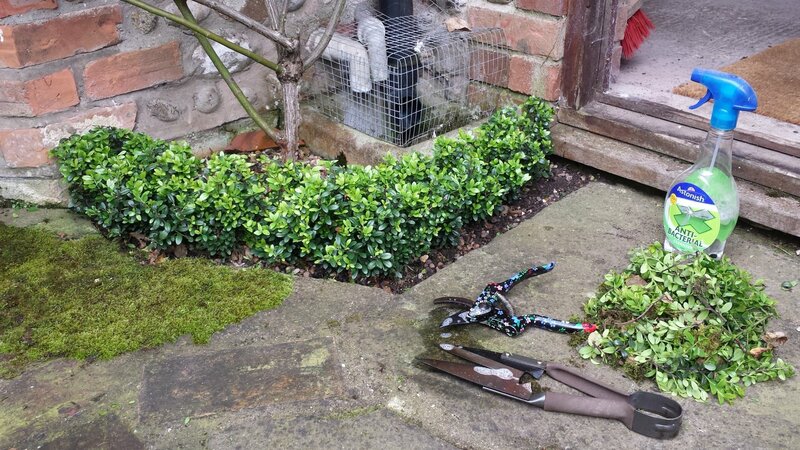 The Ilex Crenata was planted in late December 2015 and exactly 6 months to the day later it had grown significantly and it got it’s first hair cut. 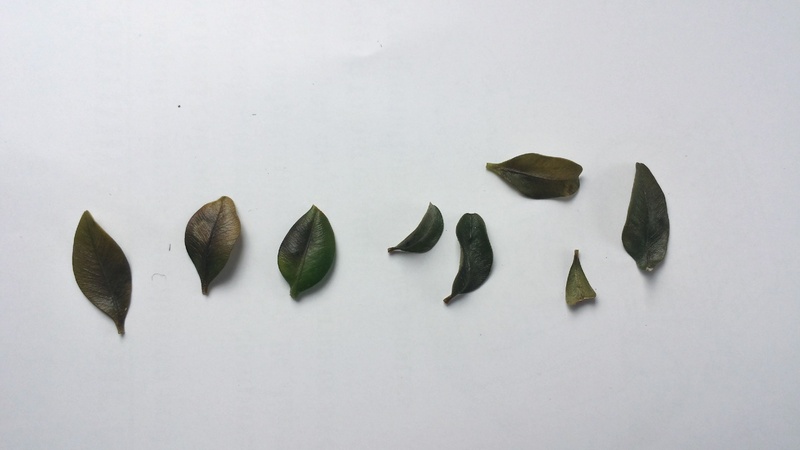 So far the results are looking good and I’m happier than I thought I would be. 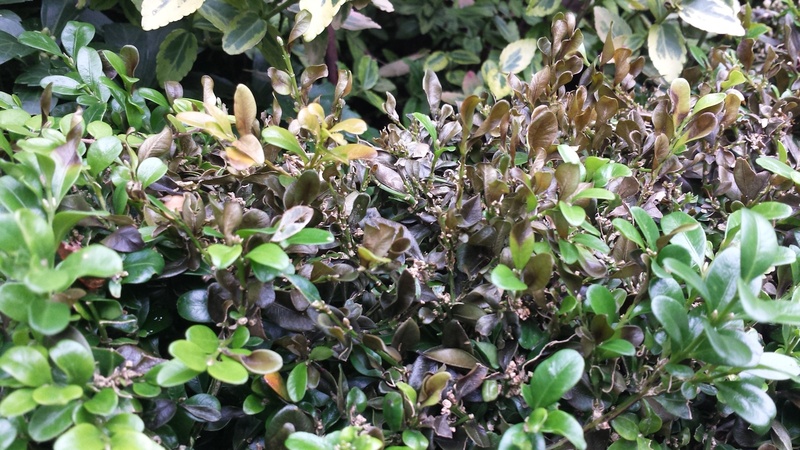 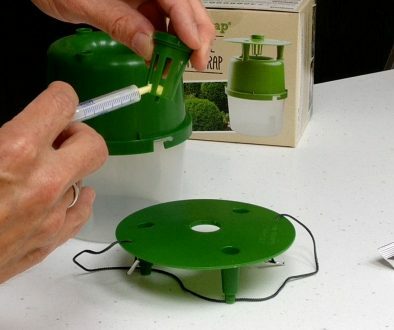 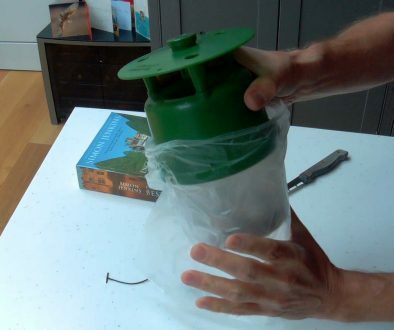 The Ilex is nowhere near as nice to clip as it is much woodier & tougher (so you need to make sure your clippers are absolutely at their sharpest). 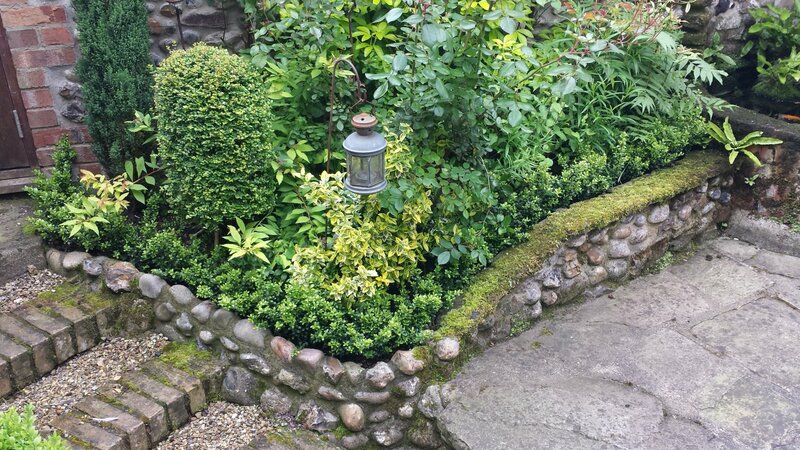 As far as it’s form is concerned I think it’s still too early to say if it will look as good as box after a few years, but it’s certainly going the right way and is miles better than an empty border. 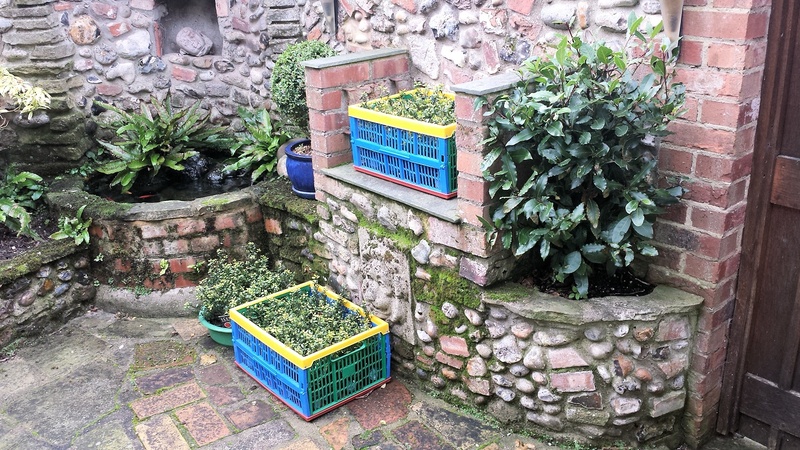 I’ll post more updates in the coming months and particularly focus on the differences in the amount of growth and form compared to box.